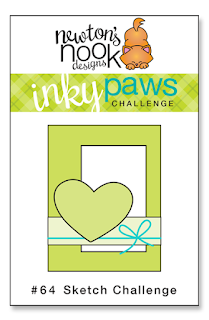 Inky Paws Challenge #64 Winner! Gail charms us with this playful card featuring the snow bunny from Snow Day (retired) stamp set. 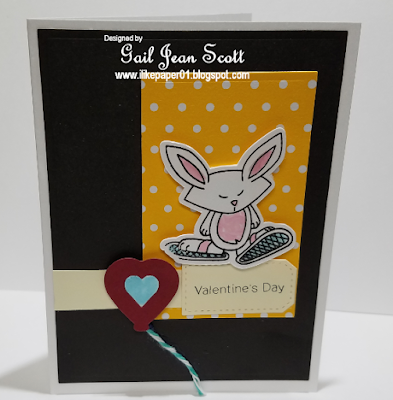 Sue's CAS style and fun take on the sketch make this such a darling card! 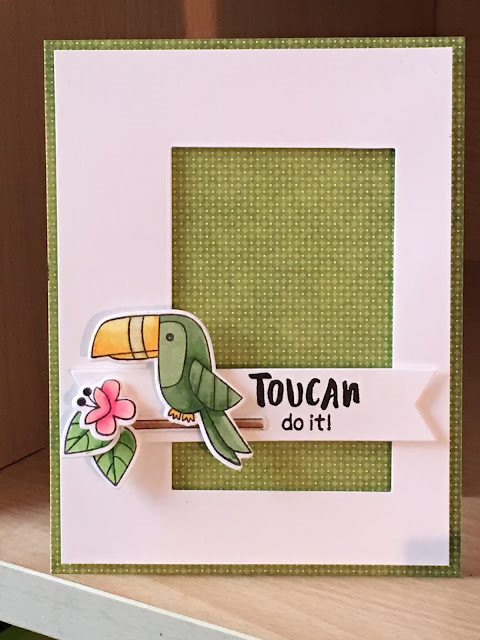 I love that she made this card with the Toucan Party stamp set with all the green to cheer on her hometown Eagles! 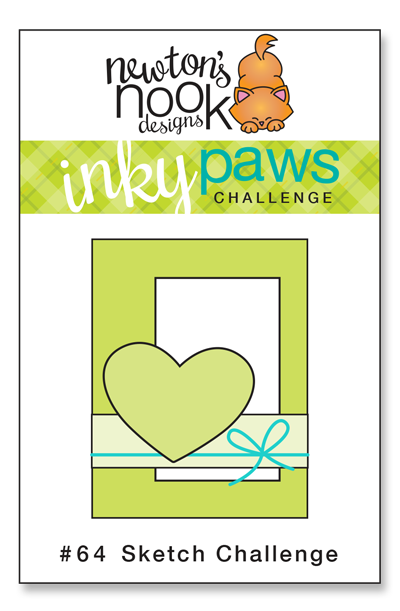 Anita uses such beautiful colors and papers with Newton's Sick Day stamp set. Her coloring of Newton is superb! Purr-fectly done! April wows with this darling card! We just love how she incorporates the shaker with the sketch. 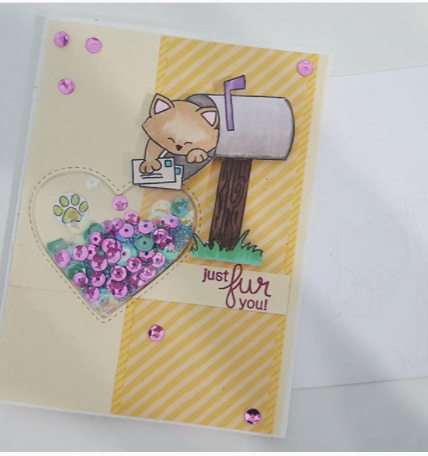 Her use of Newton's Happy Mail stamp set with the soft colors definitely makes this a special card! Marge creates a fabulous rainy card with the sequins falling in the background. Her little stripped kitten from Newton's Rainy Day stamp set looks so cute sharing his bright umbrella with his duck friend! Lisa delights with this fun, festive card! 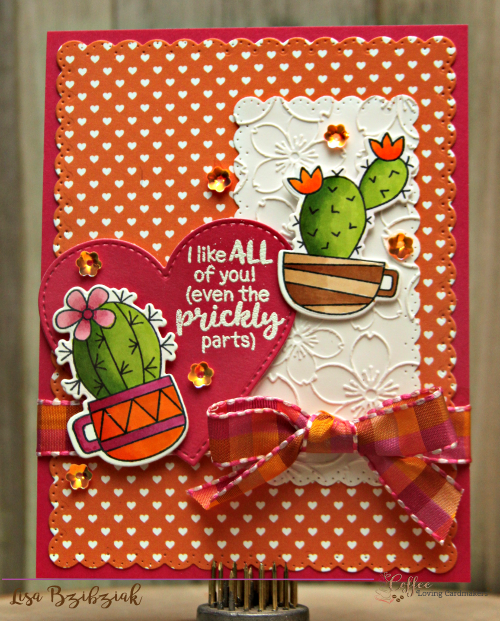 Her his and her cacti from Cuppa Cactus stamp set combined with the colorful papers and many layers make this eye stopper! Big congrats to Gail! And so excited to be picked as a fave! Thanks for the fun challenge!! Oh Happy Dance day! Thank you so much for the lovely win - I am sending an email shortly - looking forward to shopping in the store - congrats and happy dance to the other winners as well - have a fabulous day! Thanks for featuring my card!! Yay!! The Eagles pulled it off! !